The Louisiana Democratic Party has endorsed unrepentant convicted felon Edwin Edwards for Louisiana’s 6th congressional district. The seat is an open seat with no incumbent because the current office holder is Bill Cassidy, one of the Republican challengers to Democratic incumbent Senator Mary Landrieu. First, read this post about why I oppose the Edwin Edwards candidacy. Now that the Louisiana Democratic party has endorsed him I have been getting grief from some fellow progressives about my refusal to jump aboard the Edwin Edwards bandwagon. Some suggest that I oppose allowing felons back into society. That is false. I supported Malik Rahim for Congress when he ran against Bill Jefferson and Joseph Cao. He was a convicted felon but unlike Edwards, Rahim spent his post prison time helping others instead of helping himself. And let’s just ignore for a second the fact that it is just wrong to support Edwards because of his criminal background that should not be trusted. Let’s ignore that supporting his candidacy is the ultimate “the ends justifies the means” statement. Let’s look at this from a purely political standpoint. Senator Landrieu is facing a difficult reelection campaign. All of her elections have been close, but this one is going to be the closest yet. Does she really need to have the baggage of an Edwin Edwards candidacy being used against her? I can imagine the Bill Cassidy or Col. Rob Maness ads now. “Look at Mary Landrieu, she is supported by Democrats. These same Democrats support convicted felon Edwin Edwards”. Democrats nationwide are struggling to keep hold of the Senate. Even if Edwards can pull off a win in this election, is one additional seat in the house worth losing the Senate? I don’t think so. I lived in Maryland when the Edwards/Duke election took place. And had I been living in Louisiana and had I been of voting age I would have absolutely voted for Edwards against Duke. That time voting for the crook is important. This time there is no Duke. This time rejecting the crook is important. That election embarrassed Louisiana nationwide. And it wasn’t just because we had a Klansman running. It was also because that opponent of the Klansman was using the phrase “vote for the crook” to try and win. This will be another embarrassment to both Louisiana and Democrats. I wonder how many other Republicans will be able to leverage Democratic support for Edwards into political points. Look, it may very well be the case that Edwards could win and that his win would have no negative impact on anyone else running. But in this election I fear that we cannot take that risk. And I fear that the endorsement of Edwards by the Louisiana Democratic Party could very well be the nail in the coffin of the Landrieu campaign. But now the second is over, and we should not ignore the fact that regardless of his ability to win that we should be rejecting the Edwards candidacy. The ends do not justify the means. Edwin Edwards to this day insists that he did no wrong. He is delusional. He is greedy. He is selfish. He needs to go away. At the end of the day I have two children. I have to be able to look them in the eye and set a good example for them. I cannot do so while supporting Edwards and I cannot support a party that endorses corruption like the Louisiana Democratic Party just did. When I first heard of the possibility of an Edwards campaign I said that if the Louisiana Democratic Party endorses Edwards that I would cut my ties with the party. I intend to follow through on that promise. I can fight for progressive causes without waiving the banner of the Democratic party. Other states have benefited with a progressive third party pushing for progressive issue. I will still likely vote for and support progressive candidates despite their party affiliation. I will vote for Cedric Richmond and Mary Landrieu. But I refuse to do so as a member of a party that holds on to past corruption instead of building to the future. If it would be possible to be a registered Democrat nationally while rejecting the state party I would do so. But there seems to be no way to do that. Hobby Lobby is in the news again. This time the pro-family organization is being called out for firing an employee that needed to take time off to give birth. Gay marriage bans are dropping like flies. This time it is in the 4th circuit where 5 states in the central east coast are covered by the ruling. One has to wonder how long it will take for the courts to finally say that the gay marriage issue is settled and you cannot dicriminate. Hopefully that will be sooner than later. Finally, I will have on as a guest Mark Moseley. Mark is a Louisiana blog publishier, journalist, and a guru of politics. I will have him on to discuss a variety of issues including if the Democrats can take advantage of the current fractured state of the GOP. 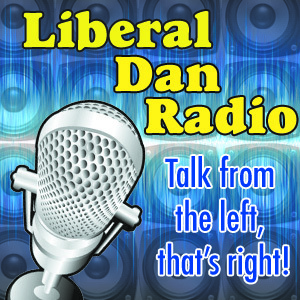 Those issues, tweet of the week, words of redneck wisdom, headlines and more at 8pm Central on Liberal Dan Radio: Talk From The Left, That’s Right. Mary Landrieu, Healthcare, The Kochs and the real issue with the new anti-Landrieu campaign ad. There is a new anti-Landrieu campaign ad. Megyn Kelly discusses it here. (The commercial is aired in the interview). The first lie that Kelly brings up is the “keep your plan” lie. (Check out a previous Fat Man Rants to see why they are lying about the whole “keep your plan” comment by Obama). I have no need to debate that issue, again, here. I talk about it many different times. Let us ignore for a second the fact that previous people who the Koch Brothers have trotted out as anti-Obamacare advocates have been proven to be incorrect in their statements on how they are suffering under the Affordable Care Act. Let us just assume for a second that everything he says in this video is true. What he is saying is that as a veteran of the armed forces who served two tours in Iraq, he is unable to get TRICARE or VA benefits. This would mean that he served less than 24 months and was not discharged for injury (according to the VA) . This would also mean that he is not currently on active duty or fall under any of the other categories that would enable him to receive TRICARE. This is just obscene. It is well known how we are failing our troops, especially those who served in combat. This is just another example of us failing our military. If you serve in one combat tour, let alone two, you should absolutely be qualified for the VA once you leave the military and move on to the private sector. There is absolutely no reason why we should be denying our troops these benefits on any sort of technicality. It is just wrong. Now, as to the implied insult that the GOP is suggesting here about Mary Landrieu and how she is attacking a marine? Well, that is just silliness. If the Marine wanted to be taken seriously about this issue of health insurance and how it may have impacted him in a negative way, he would have used another avenue to spread that message than the Koch Brothers who have already been shown to present false information in their ads about Obamacare. When asked by the press, Schiff (the marine) has not responded to any calls for additional comments by nola.com. The Koch Brothers also wont say if Schiff tried to get a plan over an exchange, if he qualified for a subsidy, or to generally verify the information cited in the ad. As it had been speculated, yesterday former Louisiana Governor and convicted felon Edwin Edwards announced his candidacy for Louisiana’s 6th Congressional District. And as I had predicted, there are Democrats in Louisiana who are rallying to his cause and there are national articles putting a spotlight on this spectacle already. Why do I suggest that he hasn’t changed? Well, his candidacy is all about him. He is someone who seems to be addicted to the public spotlight. He also doesn’t care that the spotlight is going to be an embarrassment to to the people of Louisiana and to the Democratic party whose banner he is running under. David Vitter was supposed to be the embarrassment to Louisiana running for office this time. And he isn’t even a good banner holder for the party. One of the first things he said in his announcement was that he would not have voted for the Affordable Care Act. Seriously? The guy who is supposed to be able to bring out the minority vote in an off year election is going to be running on a platform that includes his opposition to the signature piece of legislation that President Obama was able to get passed? And remember, it was Edwards who helped make it possible for folks like Bobby Jindal to run on his fraudulent ethics reform campaign. He put a recent face to the historical corruption that existed in Louisiana. Do we really want that rehashed? Do we really want to hand the GOP the ammunition it needs to continue the claims that the Democratic Party is about corruption in this state (while allowing the Republicans to hide their own corruption)? I do not want that. But ultimately this is about doing the right thing. The right thing would be for Edwin Edwards to just go away. But since he seems incapable of doing so, the right thing for the rest of the Louisiana Democratic Party would be to just openly shun him and his candidacy. And let’s say he is able to pull off a miracle and win that seat. Will it be worth it? Of course not. Again, the ends do not justify the means. Selling out our values for a seat makes us no better than the GOP. And if you cannot win the seat in the right way, then perhaps it is time to pack up shop and go home.